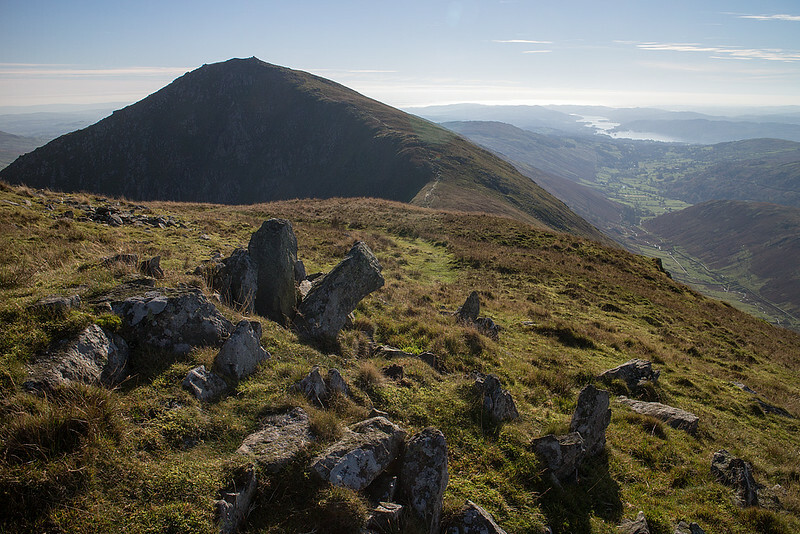 With a few tops still required to make our minimum target for the year (40 new Wainwrights) we had a mid week break in the Lakes booked for October half term. As ever with breaks booked well in advance you're completely at the mercy of the weather with the ever present possibility of a total washout. 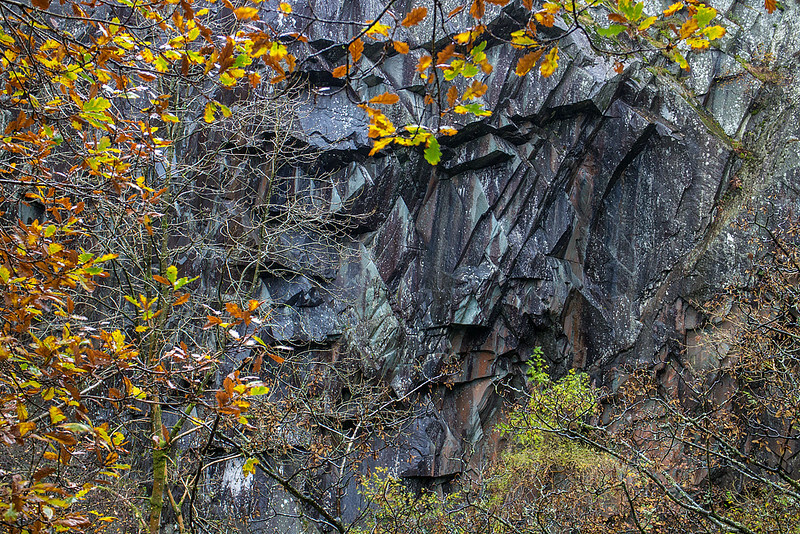 The weather for the Monday was such a day with red warnings all over the place for rain and wind we lowered our sights and had a splodge around Hodge Close quarry and it's environs. If Monday had been bad Tuesday was apocalyptic. 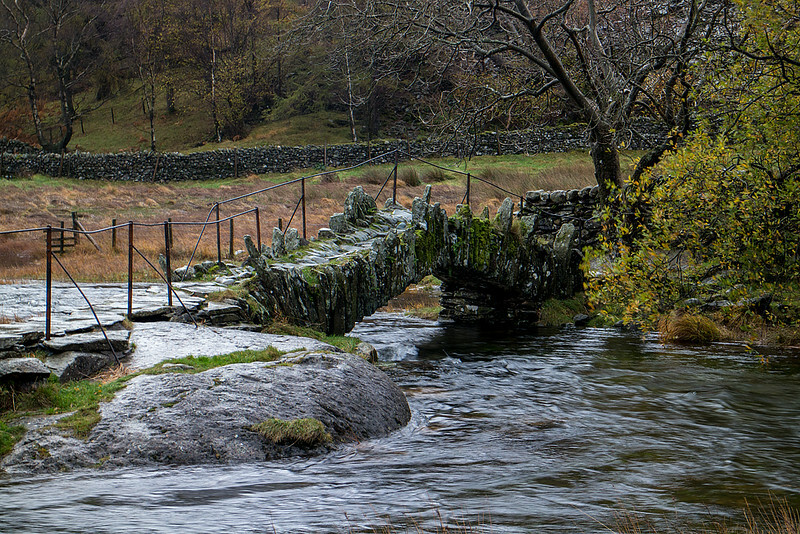 With storm force winds over the tops and regular torrential downpours once again the hills remained untouched. 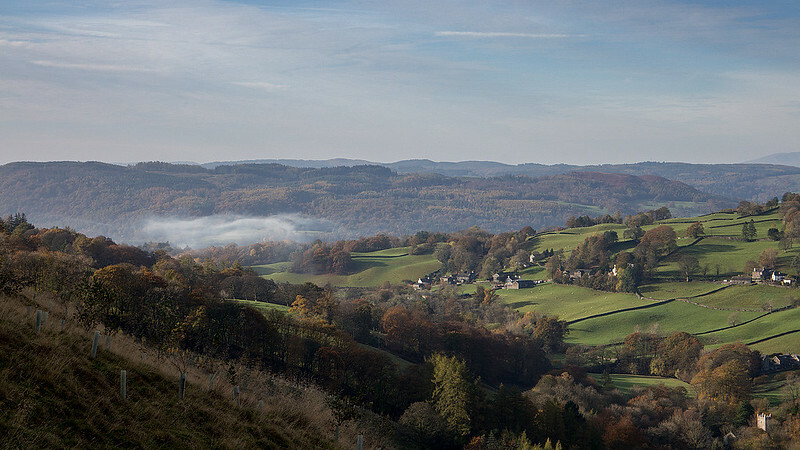 We had a bit of an explore around Hawkshead and the Grizedale forest getting a good drenching for our troubles. The contrast with Monday and Tuesdays weather could not have been more stark. 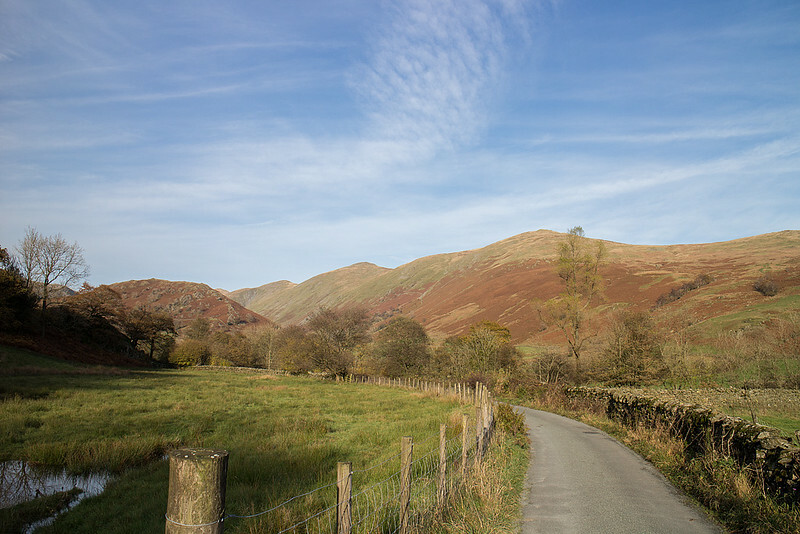 We woke to a cold clear frosty morning with light winds and wispy clouds A short drive to Troutbeck soon saw us heading up through Limefitt caravan park and upwards towards the Garburn Pass. The pull up just behind the park apart, the route to Yoke was as simple as it gets with a nice easy gradient and improvements to the path meaning it was largely dry underfoot. 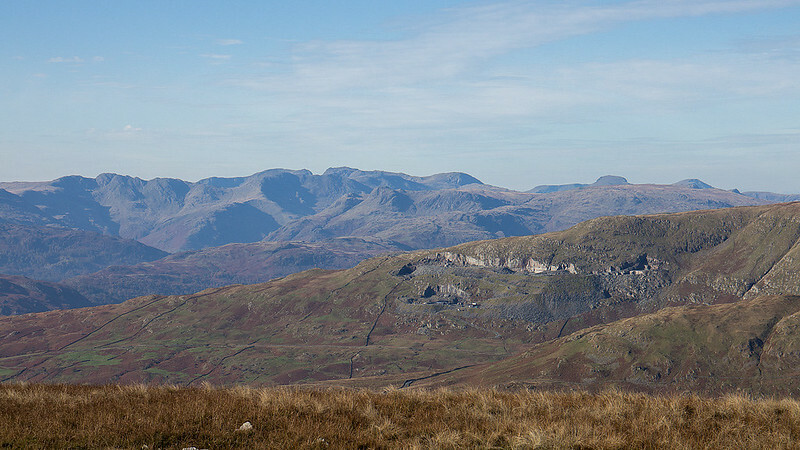 Yoke may well be a fell you only ever visit on the way to Ill Bell but on a perfect day it provided a fine view point. 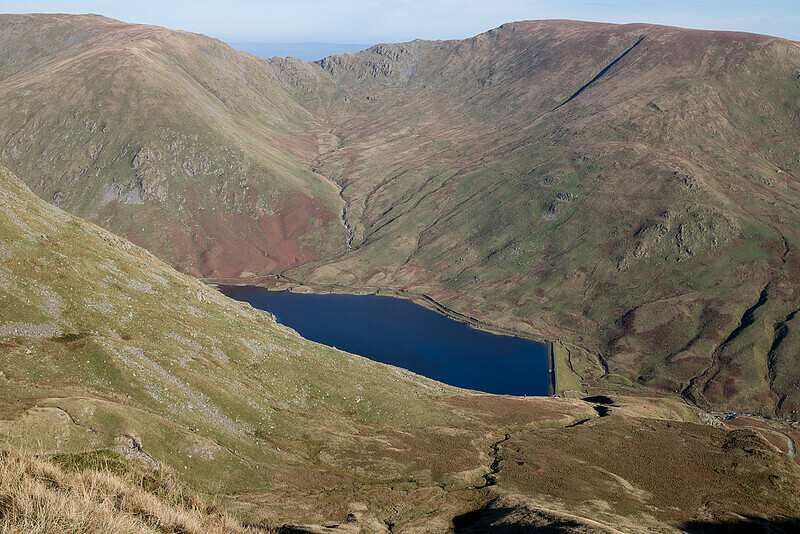 The easy going continued on the way to Ill Bell with the Kentmere reservoir looking a lovely deep blue in the sunshine. Ill Bell is a very impressive top that certainly has the feel of a real mountain helped by the ground becoming increasingly rocky as the summit is approached. We drank in more sublime views on this most perfect of walking days before a very mild scramble down to the col with Froswick. 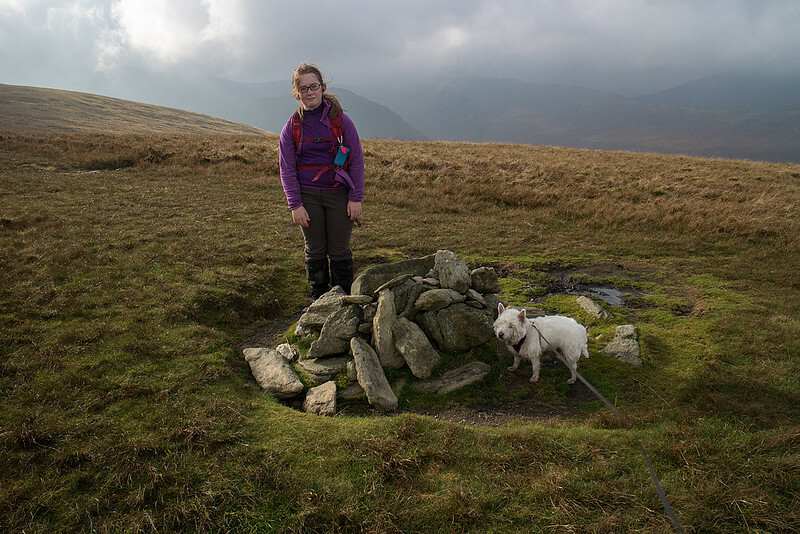 In many views Froswick is every inch a slightly smaller version of Ill Bell. It lacks in both view and presence however but we still stopped for a while in the sunshine. 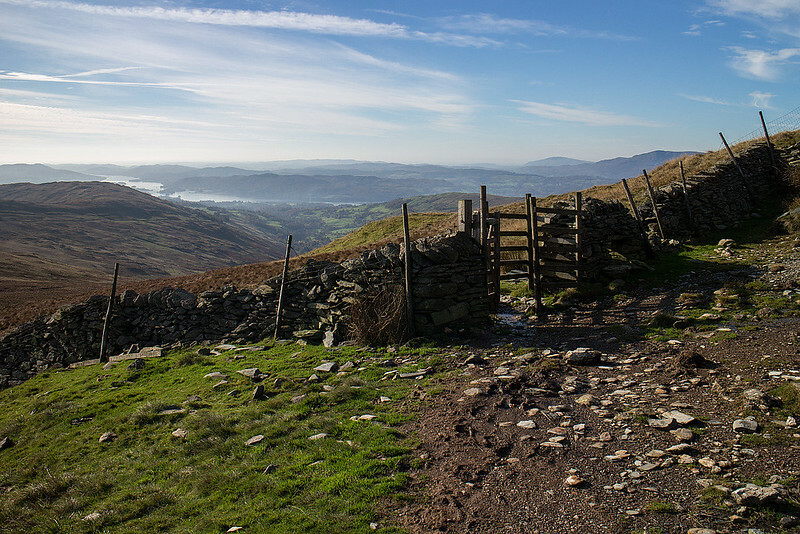 This would have been the perfect day to do the whole Kentmere horseshoe but we had the small matter of the un-bagged Troutbeck Tongue to attend to. 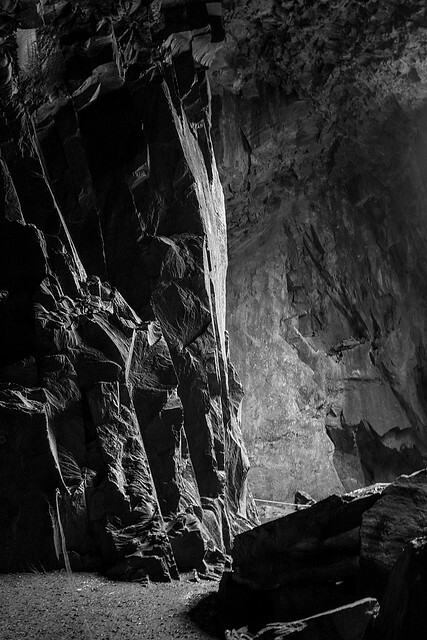 We descended on the, at times very slippy, grassy diagonal path towards out next target. 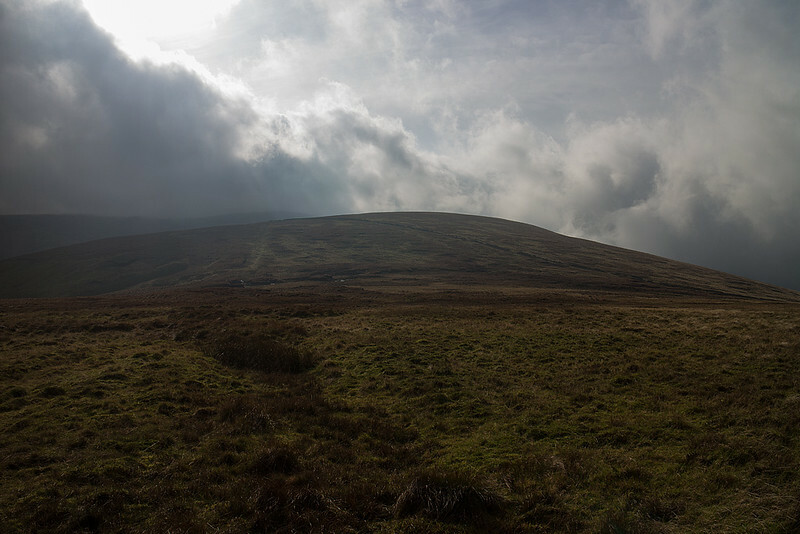 In all honesty I was expecting a bit of a bog fest given the amount of rain that had fallen on Monday/Tuesday but It turned out not too bad for the easy stroll up the broad ridge to the summit. 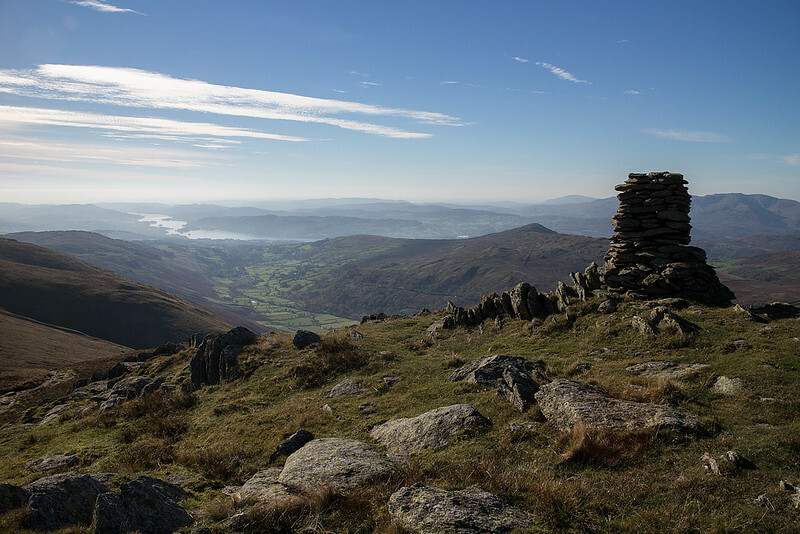 This is another "top" that scarcely merits separate fell status but it does have a nice view along Windemere. This was a great walk on a truly spectacular autumnal day that will live long in the memory, What was all that about wind and rain? 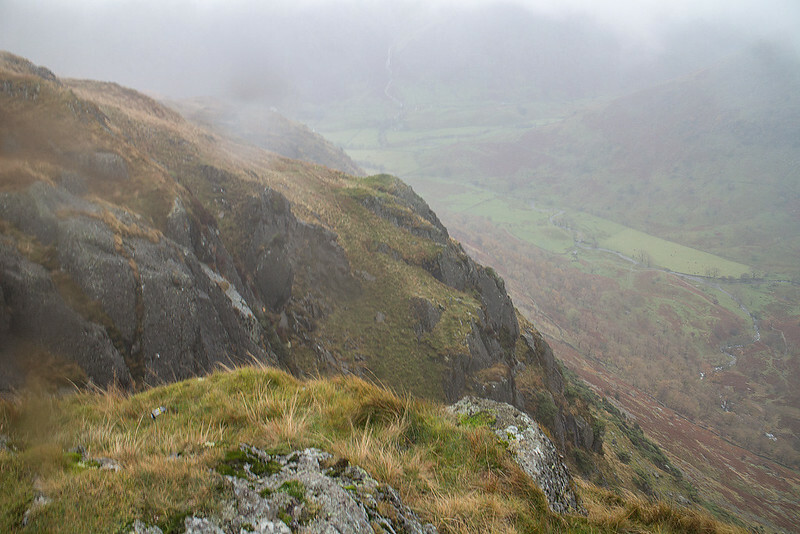 Unsurprisingly both wind and rain returned on Thursday Fortunately the winds were not quite gale force so, not wanting to waste another day, we suited up and set off to bag Hartsop above How which had been left out as we climbed the fells all around it. This is a simple enough walk from Cow Bridge car park once the punishingly steep start up though the woods is negotiated. 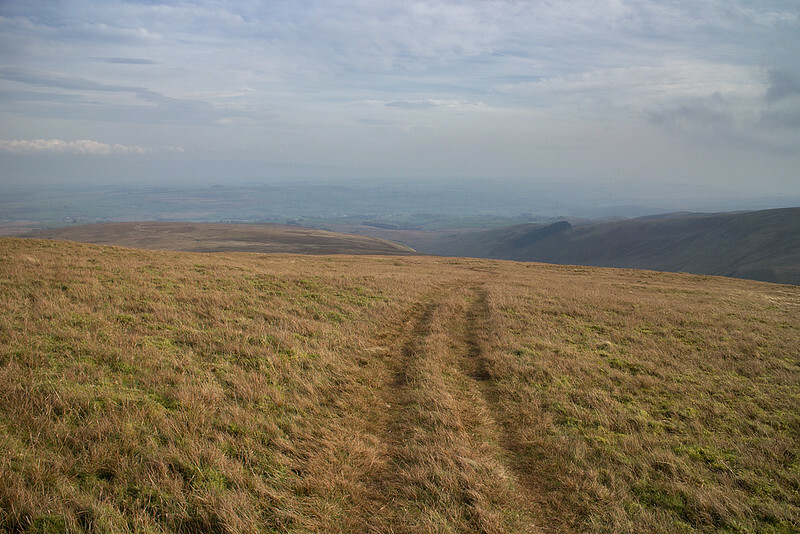 Unsurprisingly we saw no body else on the fell this day with only soggy sheep and a pack of fox hounds (whose owner remained hidden to us) for company. The summit was a wild, wet and windy place and gave no encouragement to extend the walk further so we turned tails and splodged back down the ridge. We decided against the steep path through the woods in descent, as it was already wet and slippy when we came up it, and continued down to the delightful Deepdale park. 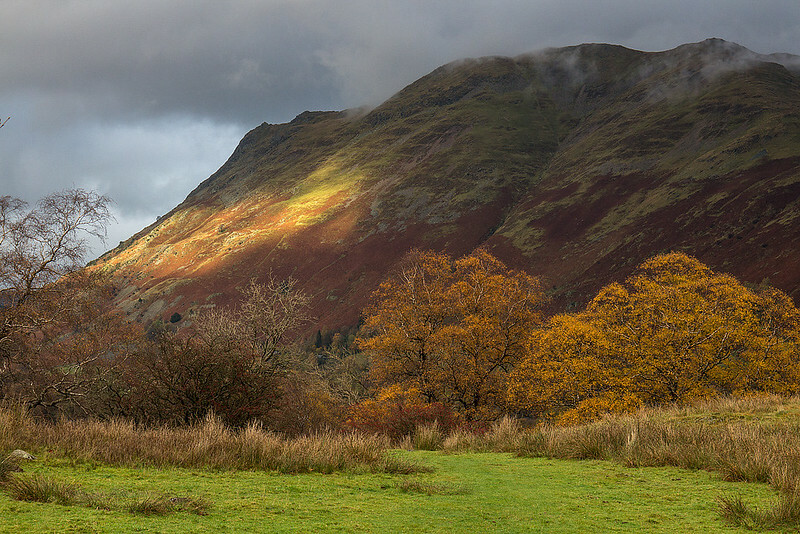 We were rewarded by the rain stopping and a burst of sunshine on the slopes of Place Fell. One more down and one more day to go. 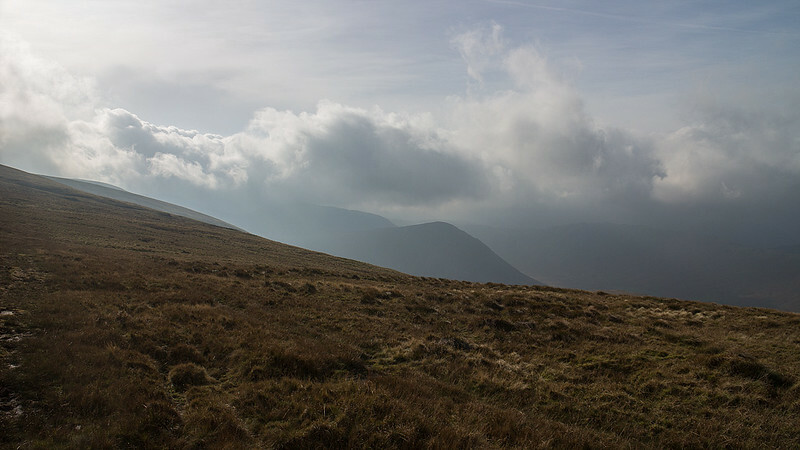 These two fells on the far eastern edge of the district have few similarities with most of the Lake District. 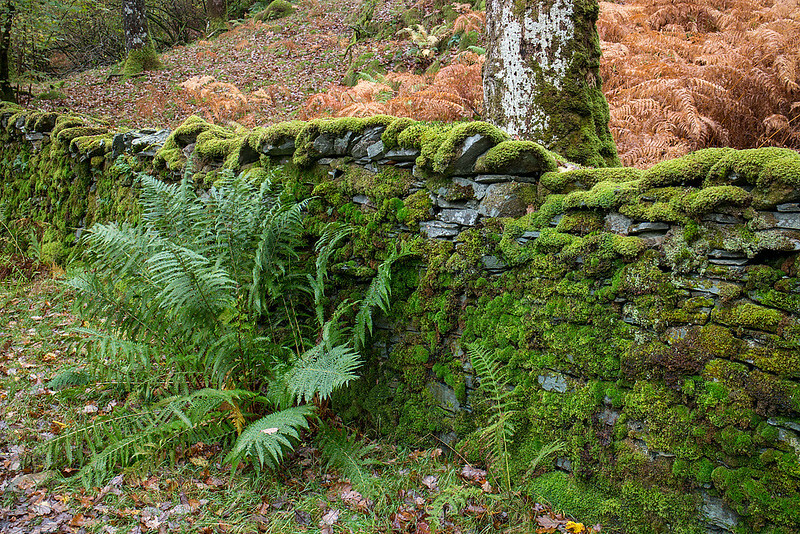 They are distinctly Pennine in character but this is not always a bad thing as it means that on a windy day there is very little to fall off. The rain had gone for our final day but the wind remained. 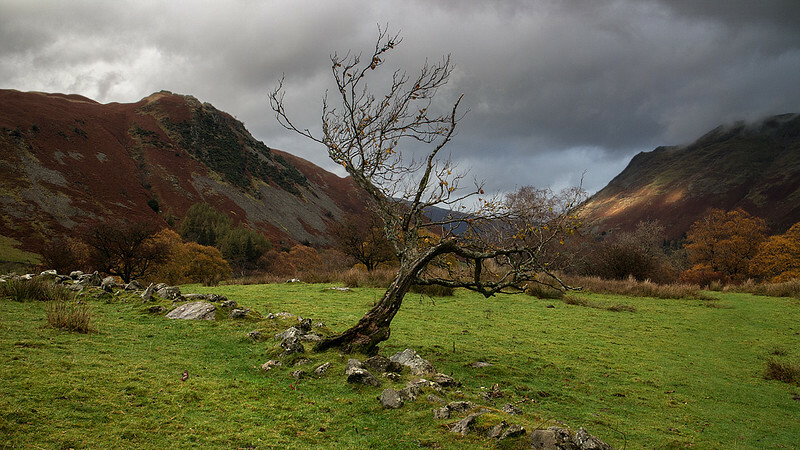 You could easily climb these two fells from the Ullswater side but we opted for walking from a different location and drove up to the lonely Moorahill farm. 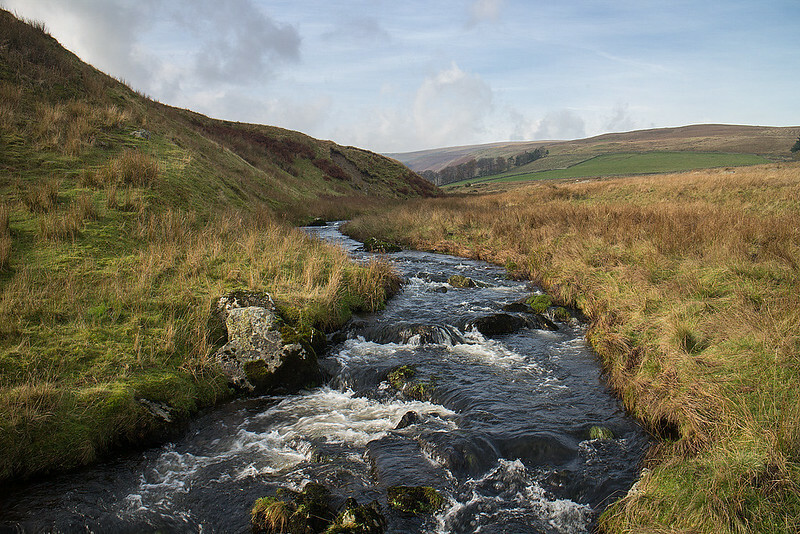 A small detour is required if the beck is high as the ford is quite deep but once this is negotiated it is as simple a hill walk as you could wish for as you soon encounter lush springy turf for most of the way up the hill. 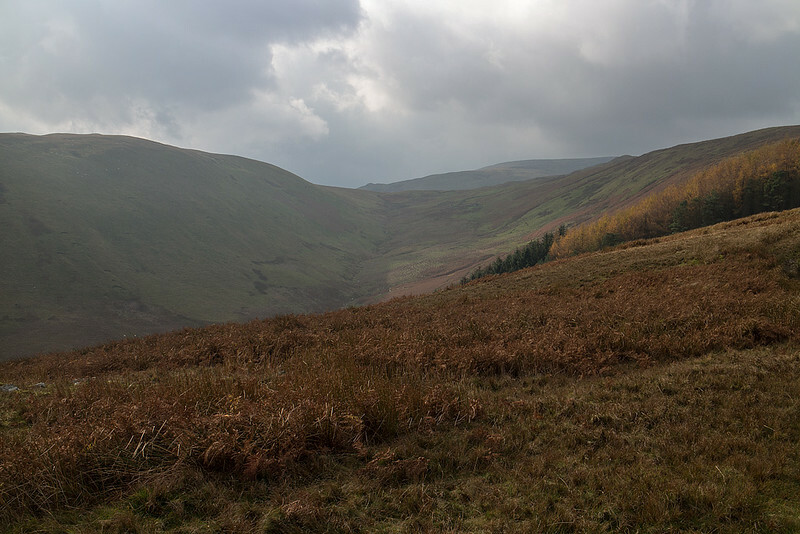 We followed the track/trod all the way up to the ridge line with boggy patches only occurring very high up. Even then they were easily avoidable. 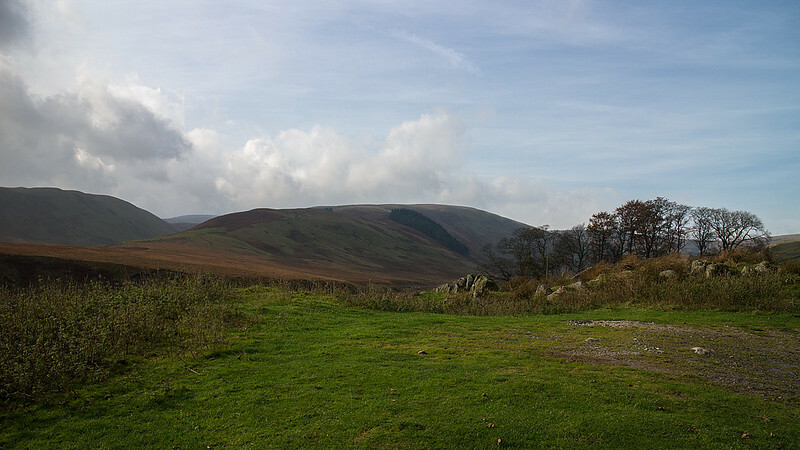 We passed the innocuous summit of Weather Hill almost without pause and continued on to the remains of Loadpot Hall (a now very derelict hunting lodge) to have lunch sheltered from the strong but not as bad as forecast wind. 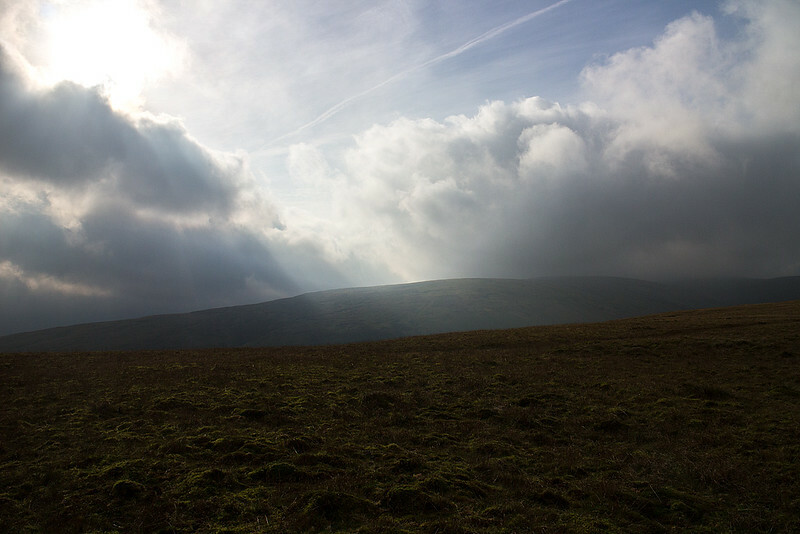 To the South of us for most of the walk the swirling clouds helped put on a fine dramatic light show. We continued on to the windy summit before enjoying a descent even more simple than our way up and even dryer under foot. So that's it for catching up with reports, which is a good thing but the bad news is that it also means we haven't been out on a hill of any description for over two months as masters degree (Nicola) and DIY (Me ) have taken over our lives. 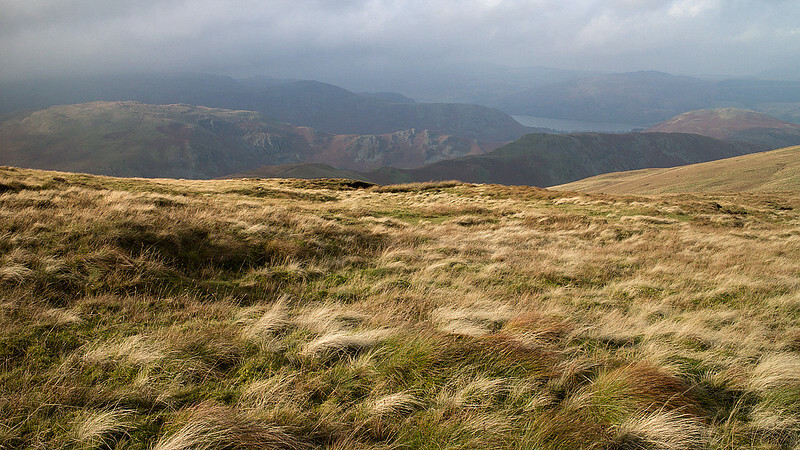 Hopefully we'll find time to knock of the remaining 39 fells at some point in the next year starting as soon as possible! Well done for fitting in some good walks given the mixed weather. 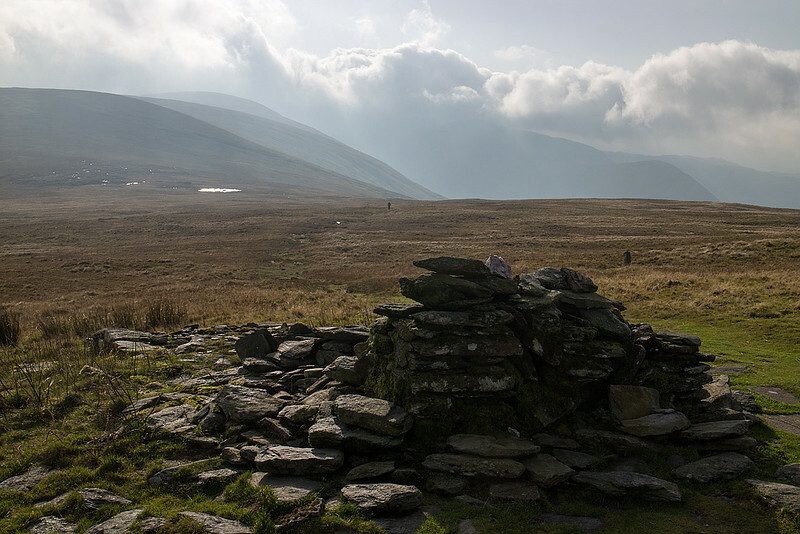 Ill Bell and Froswick are good tops; it looks like you did the best walk on the best day. 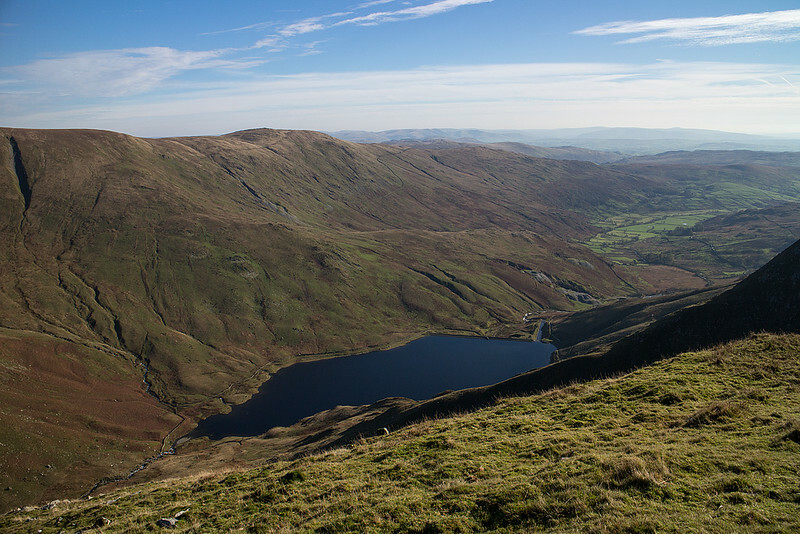 Yoke's best features are on the Kentmere side rather than the summit. Nice idea to approach Wether and Loadpot Hills from the east for variety. I looked at your old Mull report recently, Anthony. Ben Talaidh via Glen Forsa (a cattle grazing area) is possibly on the agenda this year, but I think the shorter southern approach might have been the better route with a westie. simon-b wrote: Well done for fitting in some good walks given the mixed weather. 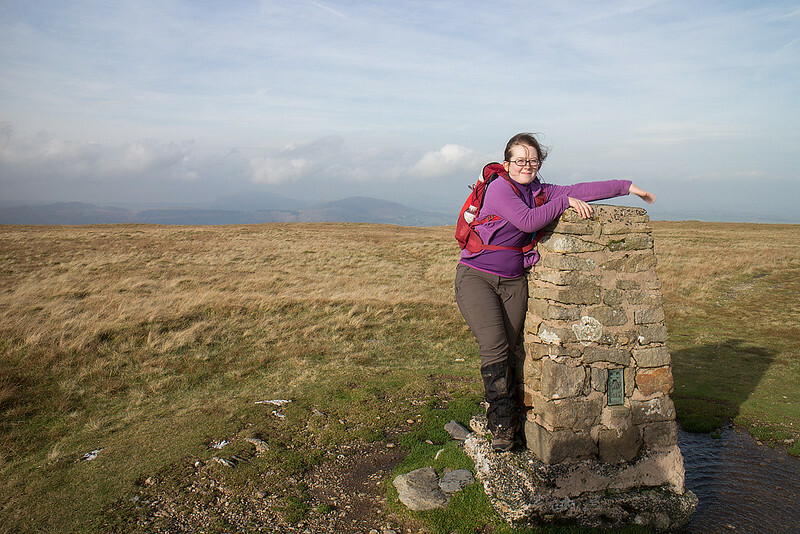 Ill Bell and Froswick are good tops; it looks like you did the best walk on the best day. 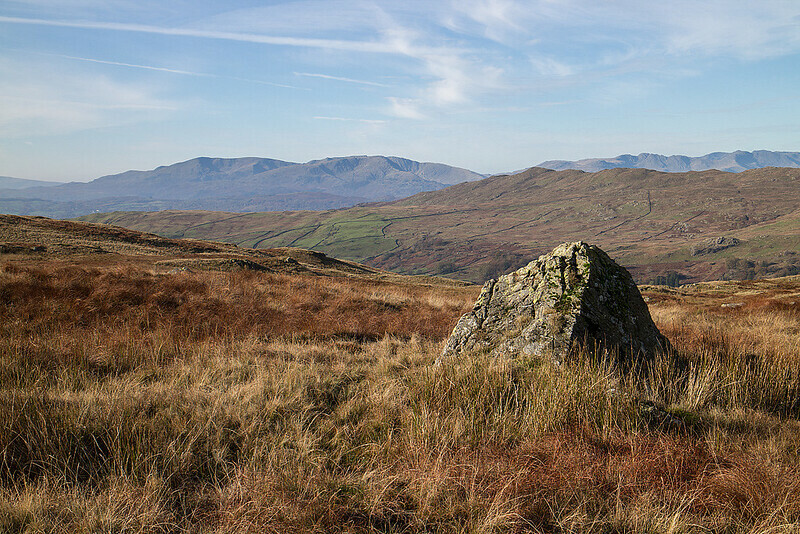 Yoke's best features are on the Kentmere side rather than the summit. Nice idea to approach Wether and Loadpot Hills from the east for variety. Weather and Loadpot was a far more pleasant walk than I envisioned to be honest, I expected a bog fest. simon-b wrote: I looked at your old Mull report recently, Anthony. 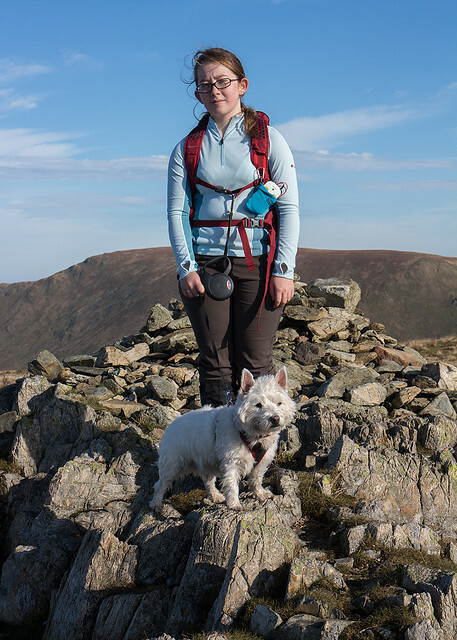 Ben Talaidh via Glen Forsa (a cattle grazing area) is possibly on the agenda this year, but I think the shorter southern approach might have been the better route with a westie. You'll enjoy Mull it's a magic place with the views from the tops being as good as anywhere I've ever been. 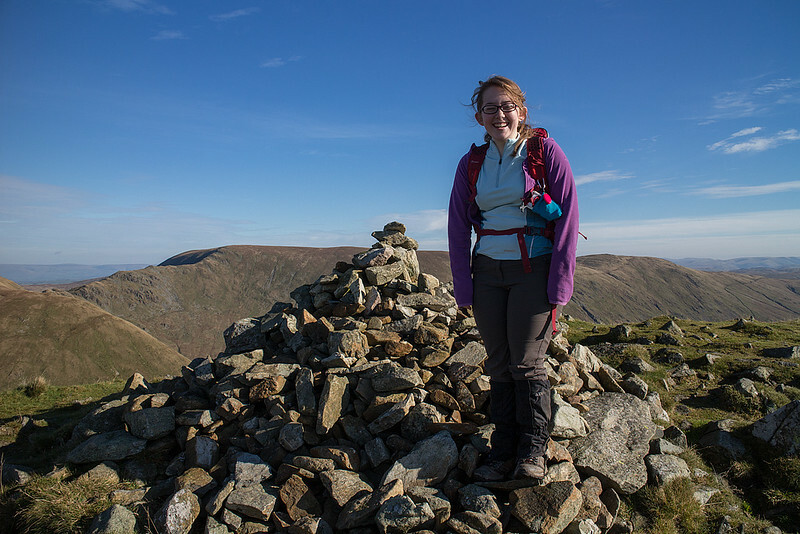 Looks like you had a lovely day for the Ill Bell ridge - and I remember it being just as windy on Loadpot Hill! I take it you made the 40 fells? Grand finish next year? Great reports and photos. 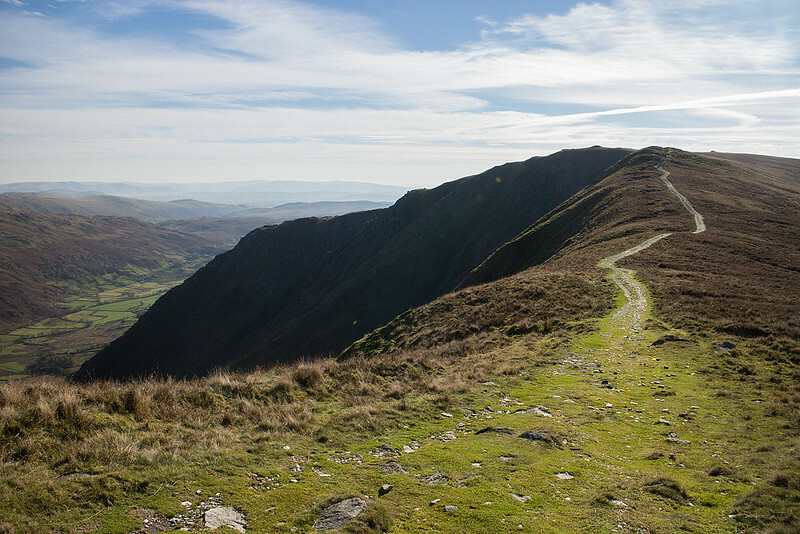 Three good hills around Kentmere and a pity that you didn't have the time to do the whole Kentmere Round which is a great walk. Never thought of doing Loadpot from the east side so will try it one day. 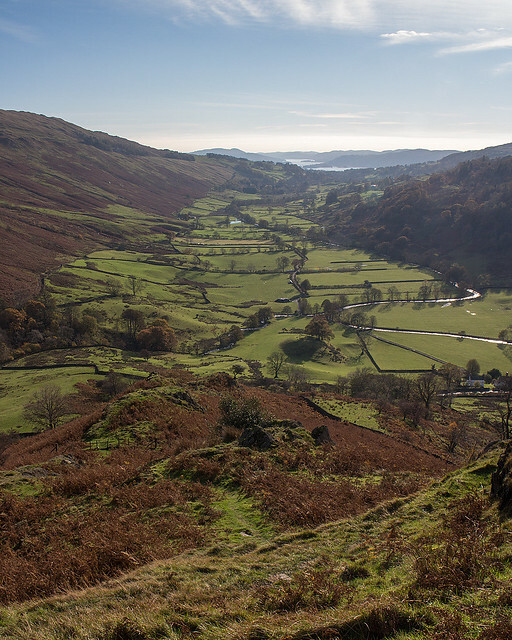 I have usually got it either from Martindale, or Haweswater via High Street, Rampsgill Head, High Raise, etc and dropped off down to the Haweswater path via High Kop, Low Kop. May see you on a hill sometime. Ended up with 39 remaining which we should be able to fit in next year with a finish on Great End. 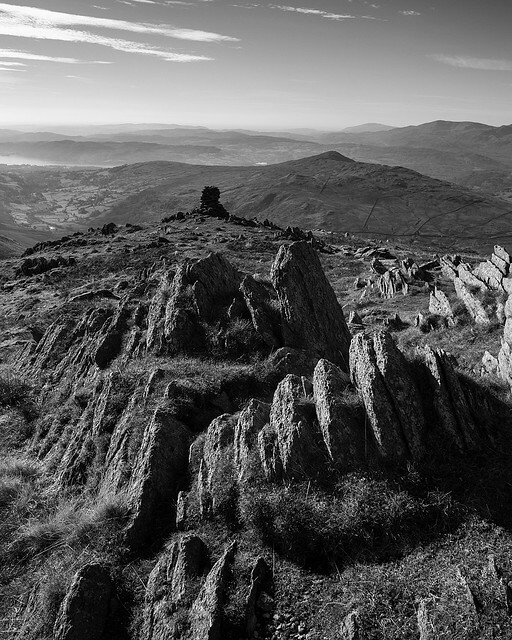 I must admit to having a soft spot for the Far Eastern Fells also with the Rough Crag ridge up High Street a particular favourite. trailmasher wrote: Great reports and photos. 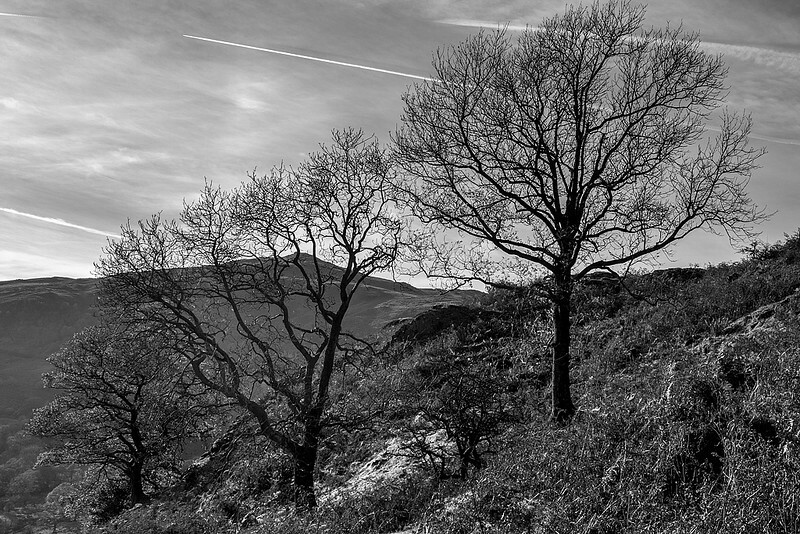 Three good hills around Kentmere and a pity that you didn't have the time to do the whole Kentmere Round which is a great walk. Never thought of doing Loadpot from the east side so will try it one day. 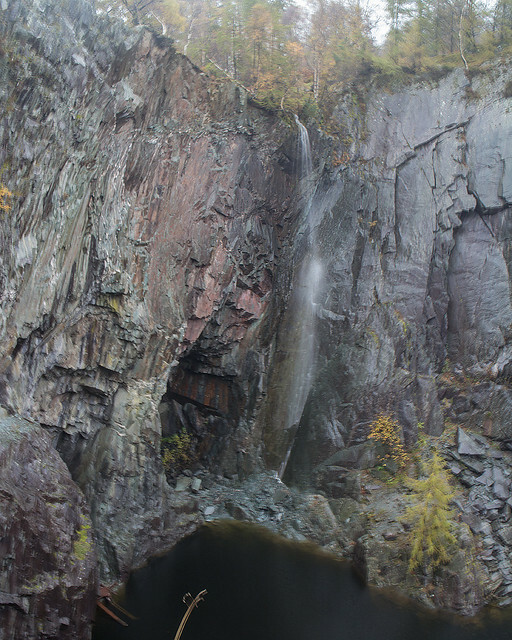 I have usually got it either from Martindale, or Haweswater via High Street, Rampsgill Head, High Raise, etc and dropped off down to the Haweswater path via High Kop, Low Kop. May see you on a hill sometime. Cheers Trailmasher, hopefully there may be another Lakes meet up this year where a few of us can get together again.